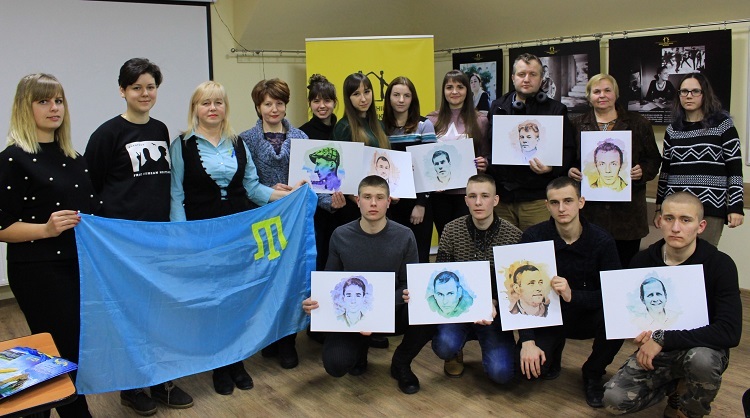 Human Rights House in Chernihiv and NGO “MART” took part in the global initiative in support of Kremlin’s prisoners (#26SOLIDARITY) and told guests about the events in Crimea in February 2014. The participants watched and discussed the documentary “Crimea. Undefeated”. The audience was impressed with the film, admitting that they were seeing the footage for the first time and they never knew that Crimea had resisted occupation. They also spoke with Masha Sulianina from the Center for Civil Education “Almenda”. She shared her painful memories about the start of Crimea’s occupation, including the attitude of youth toward these events, oppression of pro-Ukrainian students and their hopes of going back home one day. “I remember how people started gathering and buying concrete blocks, to bring them to military bases in order to bolster their defenses. My father transported such blocks as well, and my mother and grandma were very worried. It’s hard to talk about it”, shared Masha regarding her last months in Yalta. The participants also spoke on Skype with Darya Svyrydova from the Ukrainian Helsinki Human Rights Union. They discussed the monitoring of Crimean Parliament’s takeover and whether it was possible to avoid human casualties during these events. Why was the police idle during the demonstration? To this day it remains a mystery. 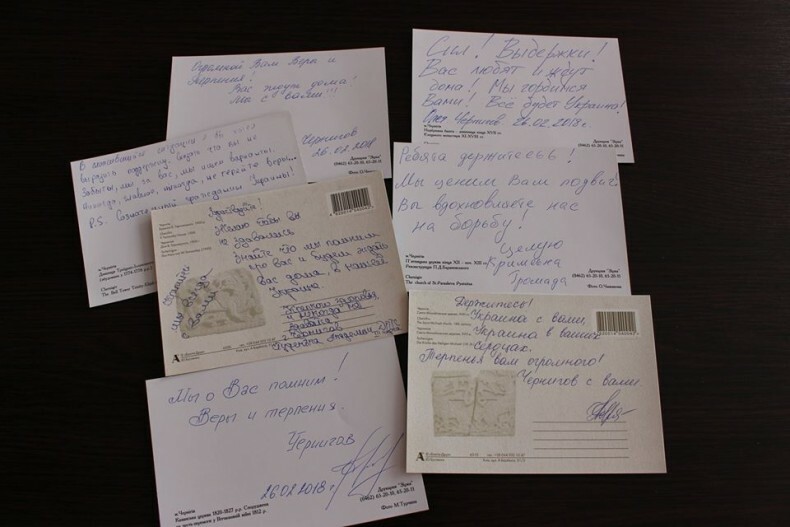 The participants of our initiative – socially active residents of Chernihiv, students and cadets of the Academy of the State Penitentiary Service – signed cards with words of encouragement for Kremlin’s prisoners. These cards will soon be sent to the recipients. In the cards, the participants wished the prisoners patience, steadfastness and perseverance and expressed faith that they will soon be liberated. They also invited the imprisoned to Chernihiv, a beautiful and ancient city on the Desna River. Why 26? Because on this day – on 26 February 2014 – at Simferopol’s main square, a demonstration that brought together thousands of people took place, in support of Ukraine’s territorial integrity. After that, persecution, threats and denigration of active Crimean civil rights activists and patriots of Ukraine began. People started disappearing, some of them were found dead, some were imprisoned in Russia, and the fate of many others is still unknown. Russian prisons currently hold 64 political prisoners.